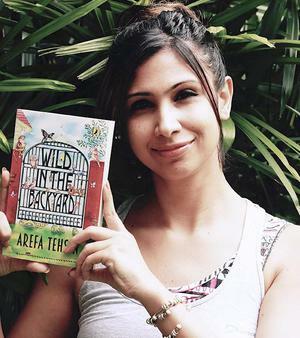 AREFA TEHSIN:I feel as happy as a clam in high water! The fact that the award is in collaboration with The Hindu , a daily that I have loved and regarded always, makes it all the more special. The Hindu Young World -Goodbooks Awards 2017 will be announced on January 16, 2017 at The Lady Andal School in Chennai during The Hindu Lit for life. Read what the shortlisted authors and illustrators have to say about making it this far. The Hindu Young World-Goodbooks Awards is for children’s books published in India. It was introduced to promote excellence in children’s writing and illustration. The award aims to acknowledge innovative publishing trends, and recognise children’s literature as an independent and important field. This is the second year the award will be given and the winners will be felicitated at The Hindu Lit for Life festival which will take place in Chennai on January 14, 15 and 16. This year, the awards will be given in two categories — Best Author and Best Illustrator. Each award will carry a cash prize of Rs. 50,000, a trophy and a citation. The Hindu Young World -Goodbooks Award is the first in India to recognise different genres in children’s publishing and to honour authors and illustrators for their invaluable contribution. The Hindu Lit for Life, showcases the best of Indian literature and now provides a platform to promote excellence in Indian children’s books. The Goodbooks website is a repository for Indian children’s books and provides a space to all those engaged with children to discourse on children’s literature.